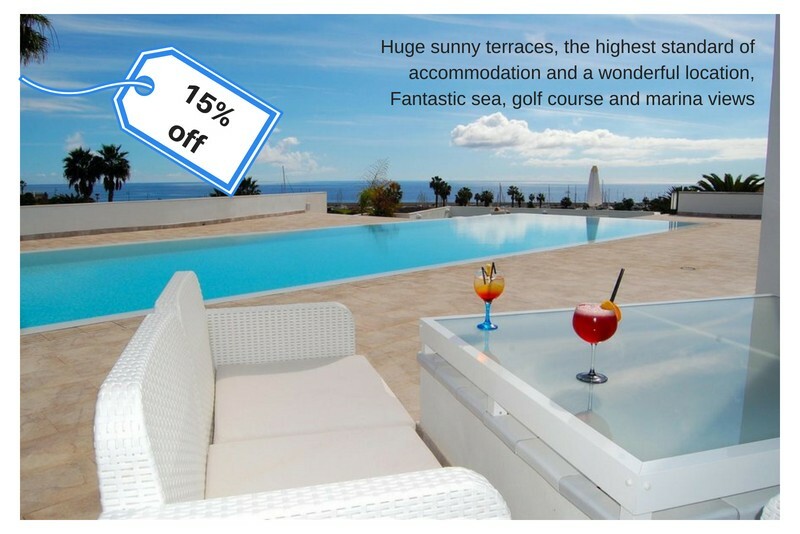 15% off Tenerife this summer! 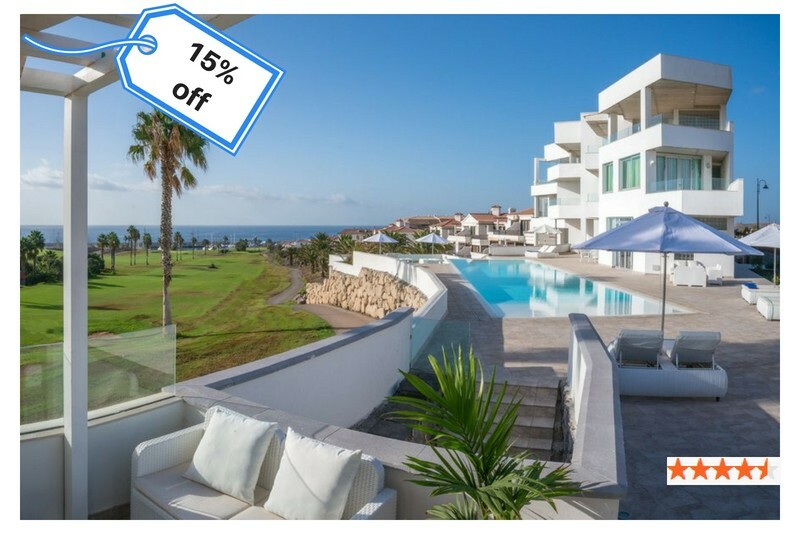 We've got some amazing last-minute discounts for this summer in Amarilla Golf, Tenerife! Private, individual and luxury accommodation combined with hotel-style facilities such as an on-site manager, laundry service and its own restaurant / bar serving food all day. The best of all worlds! 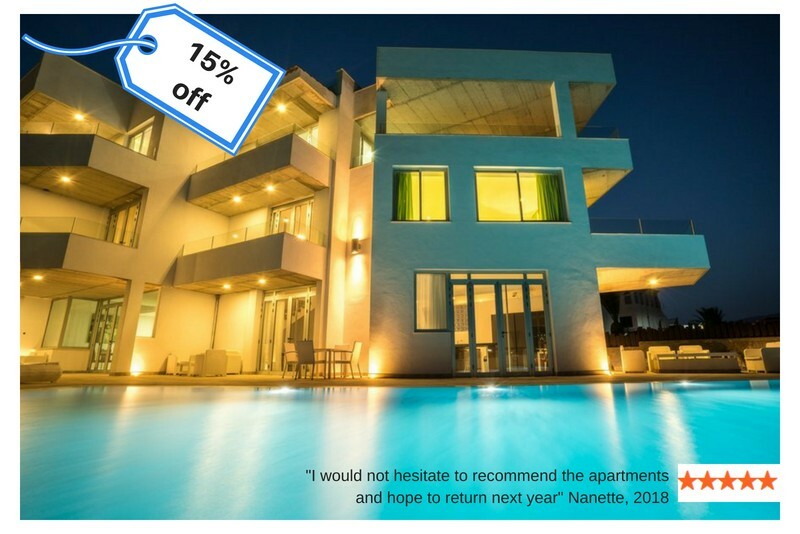 There is still some availability for this summer AND an incredible 15% off. This really is a stunning, brand new penthouse apartment. It sleeps 9 in 4 bedrooms, with 3 bathrooms and shared pool. "Absolute luxury... an excellent stay" according to Michael, earlier this year. For 7 people we recommend this fabulous apartment. It has 3 bedrooms and 3 bathrooms, a shared pool, air con, WiFi and a large, sunny terrace to soak up the famous Canary Island sunshine! Imagine that's your cocktail, and that's your view. Happy days! This duplex apartment sleeps up to 7 in 3 bedrooms. Yours for a week in August for just £980. The kids will love the pool, as well as the 100s of international TV channels (and the WiFi of course). You'll all be happy with the short walk to the marina and sea-front bars and restaurants. Viva Espagne! 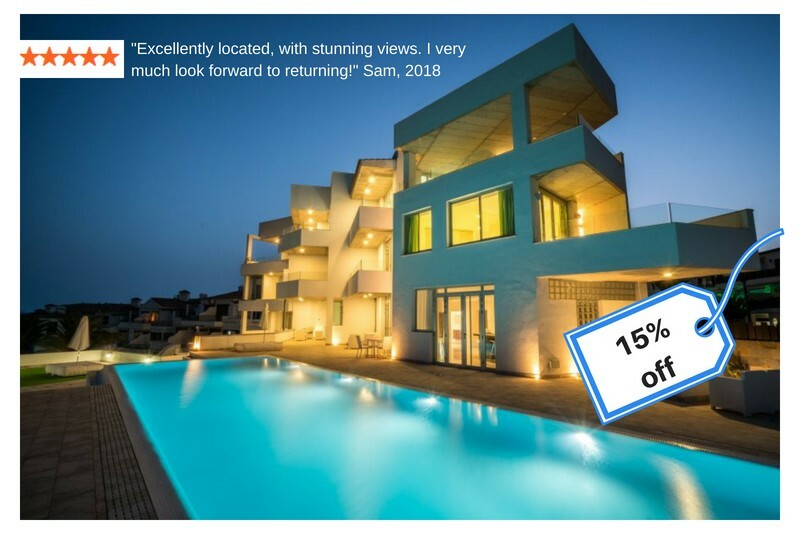 Discount details: 15% off bookings between 14th and 26th August 2018. Tempted by Tenerife? See all our villas in Tenerife.